It is located 25 minutes by shuttle bus from Kamikochi. You will arrive in 3 minutes walk from Hirayu Onsen Bus Terminal. The gentle sound of crickets is sounded all year round. We are a small inn with 8 rooms in total. We have three private baths, one of the baths is an open-air bath. 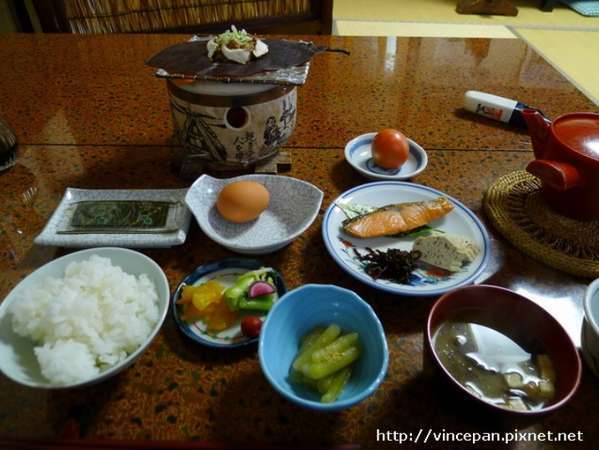 Ryoso Tsuyukusa is a small inn, so we can provide you such a luxury. Our inn is ideal for families with children and for couples. Please come to make nice memories in Okuhidaonsengo. Please acknowledge that the building is old, you might hear the sound of the next rooms and corridor. Also, please be quiet not to disturb other guests. Please make your “futon” by yourself. The inn is in a deep mountain, so we use a lot of wild plants and seasonal vegetables to our cuisine.We provide a lot of local cuisine. We would be happy if you enjoyed our hospitality-hearted cuisine. However luxury cuisine is delicious, we want to offer you a cuisine that has a good taste in nostalgia. Each floor has one western-style shower toilet. Free (12 passenger cars) A large bus requires 2,000 yen per day for parking fee. Gentle sound of cricket is sounded all year round. Because we are located at an altitude of 1,250 meters, summer temperatures of Hirayu is cool.If you visited the Hirayu in the summer, air conditioning do not need. In the winter, floor heating on the first floor corridor, bathroom, changing room also is used onsen heat utilization. Snow melting for the parking and the roofs is used onsen heat. By the effect of onsen, we can live in frigid land of winter. We make stained glasses. And we have put the transom of stained glass in each room. 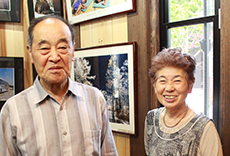 The rooms in Tsuyukusa are small and simple, so we strive to remain in your memory. We are making the stained glass windows in the image of Kamikochi now. We also accept a special order of stained glass. Estimate is free. Please offer. The Cuisine is simple, but we are working for self-sufficiency. We harvest wild plants and cultivate vegetables by ourselves.Royal fern, bracken, bamboo shoot, Mizuna, japanese parsley, Udo, radish, carrot, cabbage, cucumber, pumpkin, cherry tomatoes, Nameko, Shiitake, and so on. We also cultivate fatsia sprouts and alpine leek.